Camphor is a transparent solid, odorous flammable compound. It is obtained essentially from the tree i.e. A tree known as the capur-tree found in Asia. Camphor tree is a big evergreen tree. In addition, the camphor of turpentine oil derived from rosine can be synthesized. Properties of sublimation give its various uses. Plasticizer and raw material for fireworks are used for nitrocelulose. In the pharmaceutical sector, camphor is mainly used for treating skin infection, cough and other medicinal products. It is also widely for holy purposes in India. Further high level of camphor can be toxic and hence causes several health hazards. This report gives top to bottom analysis of the global camphor tablets market, focusing on opportunities and market restraints, alongside the most recent trends driving the market. The report sections the global camphor tablets market dependent on its end-users and region. Camphor Tablets are used to help reduce pain and swelling, relax weary muscles and lower congestion and cough in a broad range of medical conditions. They are used in the production of different medicines. Therefore, increased demand from the pharmaceutical industry is a major driver of market growth for camphor tablets. Another factor that stimulates market growth for camphor tablets is high consumption of camphor tablets for religious rituals in India. Also in agriculture, camphor tablets are used to keep moths and insects away. It is used as an abuser to keep reptiles and insects away in agriculture and even in household activities. Therefore, there is constant demand for agricultural camphor tablets. In skin care products, Camphor tablets are also used to reduce acne and pimples. Therefore, in many skin care products and hair care products the chemical industry makes use of camphor because of its beneficial properties. However, the high flammability of dimethyl camphor is expected to impact negatively on the growth of the camphor tablets market over the forecast period. With a large share of the global camphor tablets market, pharmaceutical is expected to be a leading end-user sector. A high demand for different types of drugs for different pains and diseases have been caused by the medicinal features of camphor. Also used in the production of a broad spectrum of ayurvedic medicines are camphor tablets. The growing population leading to high food and pharmaceutical growth is an important driving factor for the growth of the camphor tablets market. The camphor tablets market expands mainly as pharmaceutical industries are growing and expanding. For almost all the sweet dishes, European people consume camphor. In the Arab cookbooks, camphor is the main ingredient. Camphor is used in some sweet dishes as an essence in India. Demand for food in the region is thus expected to also fuel demand in the forecast period for growth in camphor tablets in Europe. 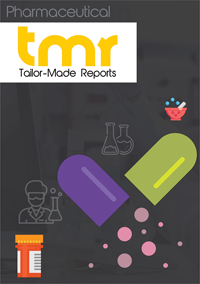 Leading vendors in the global camphor tablets market are Indukern Internacional, Mangalam Organics Limited, Hiya International, Camphor & Allied Products Ltd., Taiwan Tekho Camphor Co., Ltd, The Ji'An Cedar Fine Chemical Co., Ltd., and Saptagir Camphor Ltd.